Riddhi Pankaj’s handcrafted bags combines the classic with quirky to give you great conversation starters. Bursting with colours and screaming of Bohemian vibe, her bags will make any OOTD stand out. 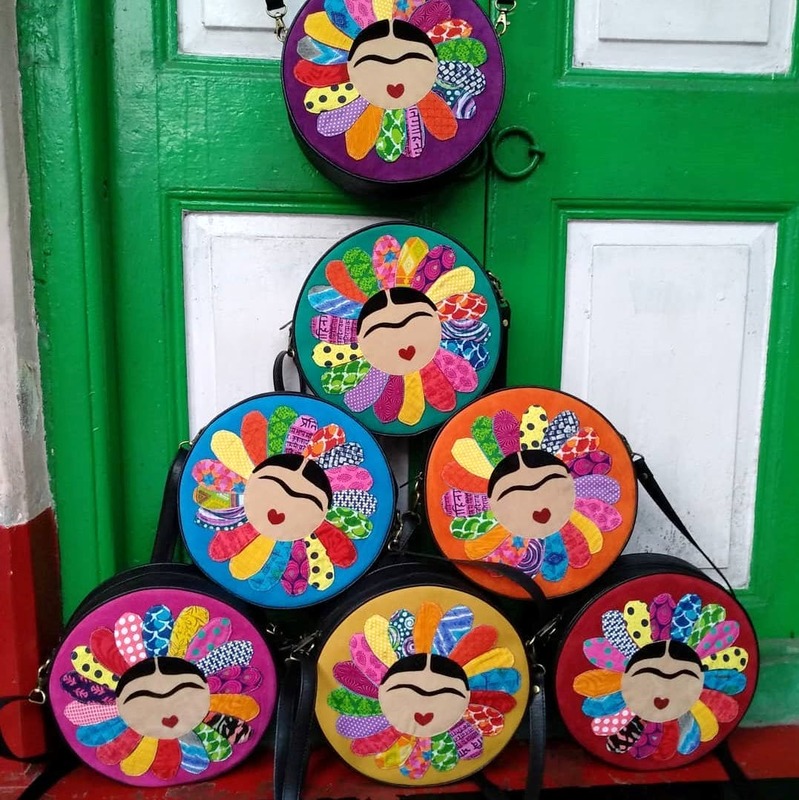 If you are in the grip of ‘Fridamania’, then you can’t miss her bestselling circular bag with colourful floral patchwork and a hint of the Pop Culture icon, Frida Kahlo’s face at the centre (a unibrow for eyes and tiny red heart for lips). The circular slings come in two sizes (big & small) with fronts done up in either kantha work or embroidery with khun fabric flowers. Combining vegan leather with handcrafted elegance, Riddhi’s bags are not just good looking but rank high on functionality and affordability too. You can choose from a range of totes, slings, clutches, messenger bags and even laptop bags. What’s more? If you have a certain look and feel in mind, she can help you turn it into your arm candy reality. For instance, recently she personalised a diaper bag and matching changing mat for a new mommy. We would love it if she brings more of a pop culture vibe into designing her bags similar to what she has done with the Frida bag. If you buy the circular slings, opt for the bigger size because while the price difference between the two sizes is only INR 100, the difference in the space you get to fit your things is huge.